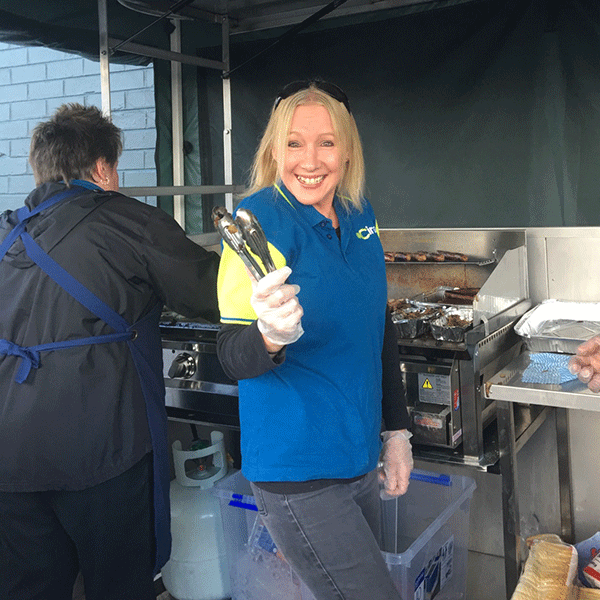 It was a breezy and cold day in Lilydale as the sun was rising over the marquee but Team Snag arrived to service the local patrons at Bunnings Lilydale with offerings of hot sausages and fried onions in bread – with the obligatory tomato sauce and mustard. Who can resist the aroma of fried onions? 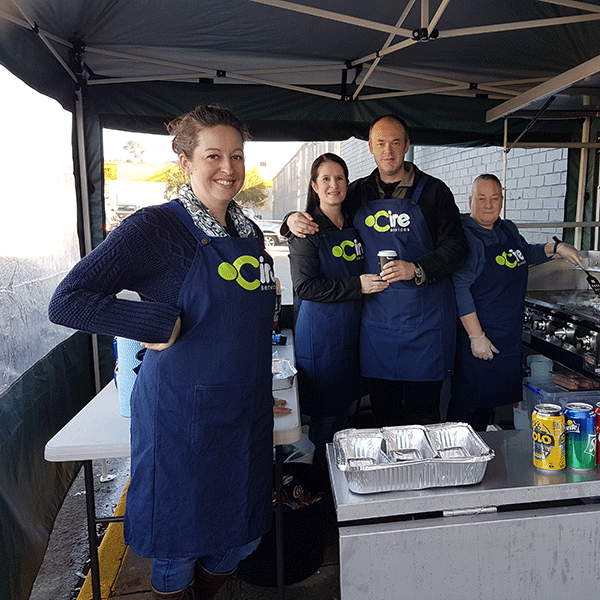 Team Snag consisted of a group of staff from all of Cire’s departments who volunteered their time to feed hungry Bunnings’ shoppers. What comradery, what cooking skills, what great conversation? Team Snag totally rocked at turning sausages and was quick to serve up delectable offerings; and of course wore their Cire aprons with panache and style! The local community came throughout the day drawn in by that familiar smell; the invitation brought out conversation about our organisation and gave us opportunity to engage with the locals in a casual setting. We also had a few visits from people who knew of Cire attending Bunnings and came down to support the cause. The lunch period was full of hustle and bustle with people lined up to get a tasty offering, the staff from Bunnings also came to get their share; we even had a gentlemen pay in advance for a second sausage on his way out – what a great testimonial to Cire gastronomical skills. The day continued to be very successful. 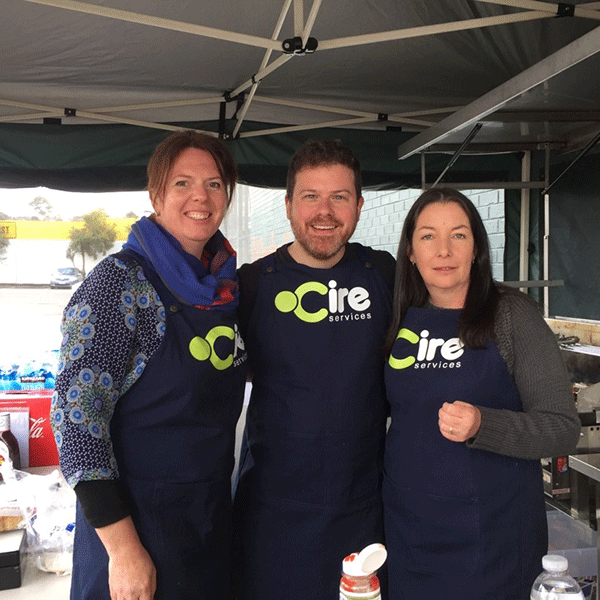 It was very encouraging to see the people from Cire show their commitment and give up a precious day of their weekend to serve the community; only this time it was with delicious snags and drinks. There were also the little helpers who came in support of their parents, to help liven up the kitchen and even thanking the customers for purchasing their sausage and hope they enjoyed them. They helped to prepare the bread, hand out the orders and give the change. “The sausages were really tasty and delicious but it was the aroma that brought us to the tent.” Martha and Mick – customers. We thank all who patronised the sausage tent and we enjoyed our contribution to the gastronomical experience. The profit raised from Team Snag’s efforts will go to Cire’s services supporting the community. These services include Cire Training – which provides career pathways for all ages; Cire Children’s Services – qualified early childhood professionals caring for local children; Cire Community School – providing an alternative to mainstream secondary schooling and helping young people get back on track; and Cire In Home Care – supporting people to live independently. Thank you Team Snag, thank you community.